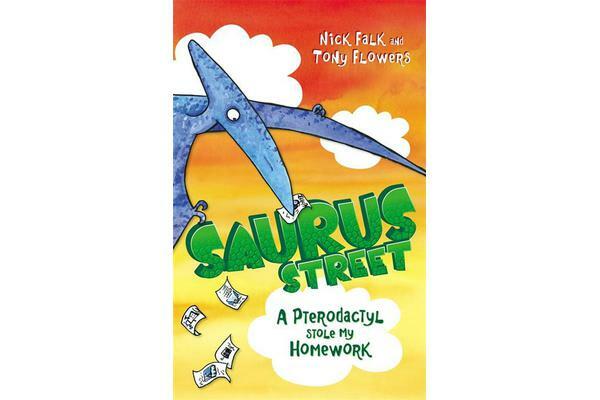 Saurus St is just like any other street . . . except for the dinosaurs! What bad luck! Just when Sam’s finished his homework a pterodactyl flies through the window and steals it. Poor Sam. It’s the fifth piece of homework he’s lost this month. He s got to get it back. With the help of big brother Nathan, Sam builds a pterodactyl suit and sets off for Saurus Hill. But there s an egg-shaped surprise in store for them up there!